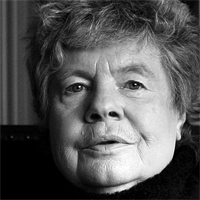 A.S. Byatt is renowned internationally for her novels and short stories. She has received numerous literary awards including the PEN/Macmillan Silver Pen Award for Still Life and the Booker Prize for Fiction for Possession: A Romance. Possession and her novella, Angels and Insects, are adapted into highly regarded films. A distinguished literary critic and teacher, Byatt was appointed a Dame of the British Empire in 1999 and received the Shakespeare Prize by the Alfred Toepfer Foundation in 2002.